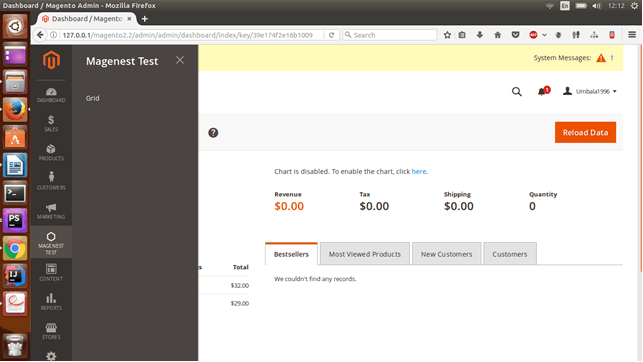 How to create a grid in back-end Magento 2 - Run your e-commerce store with ease! This post is not about something new, yet it is still necessary while working with Magento 2: creating a grid in the backend. I hope this post can be useful to who is struggling with it. Now let’s code! I assume you all know the way to create module so I will focus on the main stuff. Let’s name our module Test. 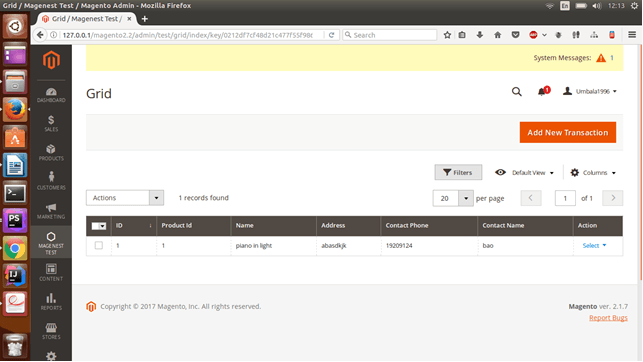 The two files above just created a page in backend (with no content of course) and its URL is localhost/magento/admin/test/grid/index. However, not everyone knows about this URL. Moreover, if the secret keys are enabled for the administrator URLs, it is impossible to build a correct URL due to the lack of the keys. Hence, at the next step, we should create an extra menu item in Admin menu so that we can easily navigate to our custom page. Next, we need to create a table in the database for grid and define model, resource model to collect data. This code will add different columns such as Product Id, Product name, Contact Name,… to our grid block above. Finally, we will define the action for the grid. Let’s create delete and edit action for this.